When a building is initially commissioned it undergoes an intensive quality assurance process that begins with the pre-design phase and continues through construction, occupancy, and operations. Building commissioning ensures that the new building operates as the owner intended and that building staff are prepared to operate and maintain building systems and equipment. During the pre-design phase, a Commissioning Plan is developed. This plan establishes the framework for how building commissioning will be handled and managed on the project. This includes a discussion of the commissioning process and associated costs, developing a schedule, defining the team and team member responsibilities, and performing feasibility studies and estimating project costs. Design Stage commissioning activities assure that the Owner’s Project Requirements (OPRs) like energy efficiency, sustainability, indoor environmental quality, fire protection & life safety, etc. are sufficiently defined and adequately & accurately reflected in the contract documents. The Design Stage is where building commissioning companies take the opportunity to assure that the design addresses building systems and assemblies that will function according to user expectations. Further, specific tests and procedures are developed to verify the performance of systems and assemblies are developed. During the Construction Phase, the building commissioning team works to verify that the systems and assemblies operate in accordance with OPRs. The two primary goals of the Construction Phase are to assure the level of quality desired and to assure the requirements of the contracts are met. 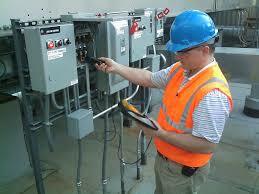 Construction Phase commissioning activities include installation, start-up, performance testing and training. This ensures that system performance is tested and documented in accordance with the OPRs. This testing and documentation also serves as an important benchmark and baseline for future recommissioning of the facility. Building systems, assemblies, equipment and components tend to shift over time. In addition, the needs and demands of facility users typically change as a facility is used. The Post-Construction Stage allows the continuing adjustment, optimization, and modification of building systems in order to meet changing requirements. The objective of the Post-Construction Stage is to maintain building performance throughout the useful life of the facility. The active involvement of the Commissioning Agent and the Commissioning Team during initial facility operations is an integral aspect of the building commissioning process. Lastly, a plan is developed for recommissioning the facility throughout its life cycle. When looking for building commissioning companies, be sure to do research and find one that has several years of experience.